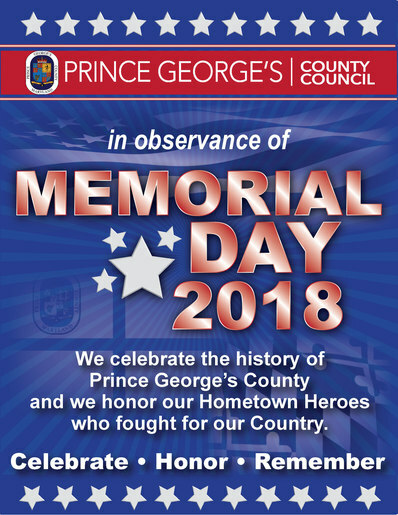 In one of its most important duties, the Prince George’s County Council adopted a $4.09 billion balanced County Budget for Fiscal Year 2019 on Thursday, May 24. The FY 2019 County Budget becomes effective with the new Fiscal Year which begins July 1, 2018. Chair Glaros offered remarks following the Council’s formal action on the budget on Tuesday recognizing the active involvement of Prince George’s County residents during the budget process. Overall, 64% of the FY 2019 Budget, over $2 billion, has been appropriated for education, which fully funds the budget requested by the Prince George’s County Board of Education and exceeds the state-mandated Maintenance of Effort. The Council has increased investments in PGCPS by over $133 million since FY 2015. Additional education funding enhances library security measures and expands the Prince George’s Community College COAST program, which provides special academic counselors in high schools for students who need remedial help following graduation. The spending plan continues to restore recession-related funding cuts to the Department of Public Works and Transportation (DPW&T) to support road and sidewalk repair; the improvement of County maintenance of medians, and trimming street trees to sustain and enhance the health, safety, social and economic well-being of our community. To support critical redevelopment and revitalization in our communities, the 2019 County Budget includes full funding to rebuild the Tucker Road Ice Rink; $250,000 to the Redevelopment Authority for Northern Gateway revitalization; and $200,000 to support businesses affected by Purple Line construction. There is Capital improvement funding for Suitland and Glenarden revitalization projects as well as numerous other projects. Funding is also being provided to the Small Business Development Center to address impacted businesses along the Purple Line. The Council will continue its commitment to affordable housing with $2.5 million dollars in Gap Financing for new workforce housing and senior housing projects, and strengthen its social safety net of services by funding several additional ongoing Council initiatives addressing health care, telehealth, domestic violence, Federally Qualified Health Centers, nonprofits and immigrant services. Chair Glaros addressed the importance of adopting a spending plan that celebrates the best of Prince George’s County. 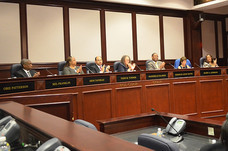 In Bi-County budget action earlier this month, lawmakers from Prince George’s and Montgomery counties unanimously adopted the FY 19 Operating and Capital budgets for the Washington Suburban Sanitary Commission (WSSC); the Bi-County portion of the Maryland-National Capital Park and Planning Commission (M-NCPPC); and the Washington Suburban Transit Commission (WSTC). Both Councils approved the WSSC FY 2019 Operating and Capital budgets of $1.4 billion. The new budget includes a 4.5-percent rate increase for water and sewer customers. Visit to view the FY 2019 Budget Ordinance. The Prince George’s County Council, during the budget adoption session on Thursday, May 24, adopted Council Resolution CR-33-2018 establishing a Public Private Partnership Alternative Financing School Infrastructure Work Group, to explore a Public Private Partnership (P3) concept for school construction and replacement projects in Prince George’s County. 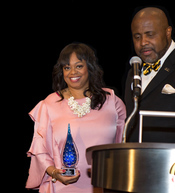 Prince George’s County Council Member Karen R. Toles (D) – District 7, is the honored recipient of this year’s “Sheila Stewart Service Award,” presented by 100 Black Men of Prince George’s County. She accepted the tribute, which recognizes meritorious service contributions in Prince George’s County, during the chapter’s 7th Annual Community Brunch, “Empowering Voices of Our Youth,” on Saturday, May 19, 2018. The 100 Black Men of Prince George’s County event was hosted by award-winning journalist Roland S. Martin. Prince George’s County Council Member Andrea C. Harrison (D) - District 5, was honored by End Time Harvest Ministries and the Port Towns Youth Council on Wednesday, May 23, 2018. 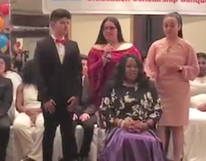 The award was presented during the 2018 Port Towns Youth Council and Pathways to Career Success Program and Scholarship Banquet, End Time Harvest Ministries’ premier event honoring graduates and celebrating partners who have been outstanding advocates for students and parents.